Explore the world of business apps for iPhone and start transforming the way you work. With new apps added to the App Store everyday, there’s no limit to what iPhone can do for your business. See how apps on iPhone can transform how you work. Bring your office docs with you. Access to your business data is critical wherever you are. With third party apps you can securely share information across multiple computers and devices, sync your files online, and easily connect to your SharePoint servers making sure you have the information you need right on your iPhone. Sync your favorite SharePoint lists and libraries automatically and take them with you in your iPhone with SharePlus Office Mobile Client. Work with your work files. Stay up to speed with your work files even when you are out of the office. On iPhone you can easily view, edit, annotate and share common business documents such as Microsoft office files, PDFs and even Google Docs. Keeping on top of projects, managing to-do lists, tracking due dates and capturing whiteboard brainstorms is easy with apps on iPhone. Organize notes, prioritize tasks, create action plans, and map ideas from start to finish. Track tasks by project, place, person, or date with OmniFocus. Participate in online meetings as if you were sitting at your desk using WebEx. Attend online meetings, exchange contact information, and never miss a beat while you’re away from the office. Collaboration tools on iPhone can help you access shared contacts and calendars, instant message your colleagues, and connect through enterprise communication services. Transform iPhone into an office phone by connecting to your organization’s telephony infrastructure. Make calls over a Wi-Fi network, manage sophisticated call handling such as voice mail and call logs and connect into corporate directories right from iPhone. telephony infrastructure with Cisco Mobile 8.1.
and enter and edit data on the go with Numbers. Speed up smart decisions with apps that enable you to track a range of business activities. Monitor current sales figures, generate reports, analyze business data, and make approvals to keep your business moving forward. Customers in the palm of your hand. View opportunities, track leads, and manage your pipeline to grow your business while on the go. iPhone does more than help you manage sales prospects — it keeps you up to date with critical information and services for your customers. View and edit Salesforce.com information, log sales and service activities, and receive new leads and customer requests. on your iPhone with FileMaker Go. Keep on top of your business. iPhone helps you keep your business running while you are on the run. 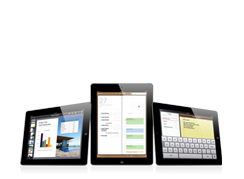 Manage everything from expense approvals, payroll, or even invoicing right from your iPhone. Track time, materials and shipments with a tap of your finger. With a huge collection of professional-grade medical and health applications, iPhone gives doctors and nurses the resources they need for continuity of care when they're away from the hospital or clinic. Discover more apps for healthcare in the App Store. Netter’s Anatomy Flash Cards help physicians explain basic anatomy to patients, and give students a great study tool for anatomy class. encrypted network connectivity from your iPhone. Powerful third-party apps help troubleshoot, support, and administer your company’s networked computers and servers. Whether you’re using VPN to access a secured network, FTP to transfer files, or SSH for a secure shell session, iPhone gives you instant remote access to mission‑critical systems. Unleash the power of the App Store to your entire workforce. 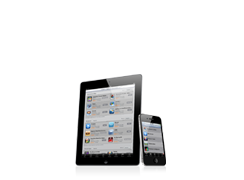 Learn how to deploy iPhone in your business. 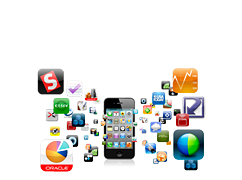 Apps designed for the business user. iPad is ready for work, right out of the box. The phone that changed everything is available on both AT&T and Verizon Wireless. Get all the great features of iPhone 4 including FaceTime video, multitasking, enhanced security, and device management capabilities. Or call an AT&T Business Representative at 1-877-5ATT-B2B. Or call a Verizon Business Sales Representative at 1-800-VZW-4BIZ. Google, the Google logo, and Google Maps are trademarks of Google Inc. Tele Atlas® Map data © 2010. All rights reserved. Some features, applications, and services are not available in all areas. See your carrier for details. Application availability and pricing are subject to change. App count refers to the total number of apps worldwide.